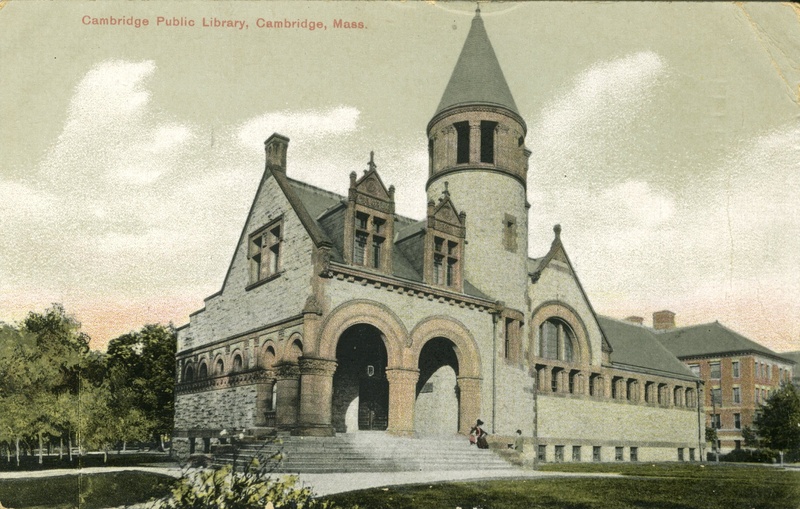 The Cambridge Room | Historic tidbits, facts, and notes of interest on Cambridge, Massachusetts brought to you by the Cambridge Public Library's Archivist. This workshop will prepare you to easily interview family members. We will cover an introduction to oral history, interviewing techniques, the use of a digital recorder, and methods to preserve your recording. Robert Johnson’s signature from the Johnson Family Bible, a new Cambridge Room acquisition. Join us to commemorate Juneteenth, the holiday celebrating the emancipation of enslaved African Americans in the former Confederate States of America, by exploring the fascinating life of Robert Johnson, fugitive slave and abolitionist, and his connection to Cambridge. We will offer two programs on the same evening: a genealogy workshop and a reception and talk. We will explore the paths our genealogical research took, plot out the Robert Johnson Family tree and his connection to Cambridge, and offer tips for researching African American genealogy. Come see an important new Cambridge Room acquisition and learn about Robert Johnson, fugitive slave and abolitionist, and his family’s connection to Cambridge. This is the first in a series of programs featuring gems from the Library’s Archives and Special Collections. This is a recipe from Anthony Simeone’s memoir, Recipes from Papa: Food, Family & Memories of Growing Up Italian American. His father, Salvatore, founded Simeone’s Italian American Restaurant, which was on Brookline Street in Cambridge for 30 years from 1946 to 1976. The excerpt of the book is from Simeone’s Italian American Restaurant Memorabilia Collection. In late 2017, the Cambridge Public library began a collaboration with CCTV to work with students in the library’s genealogy workshops. The purpose of the program, funded by the Massachusetts Cultural Council and the Cambridge Arts Council, was to teach those who had been studying their families’ histories the technical skills to produce digital stories about their families. Here’s one of those stories. An image from Gilda Bruckman’s short film, “Gravestone Mysteries,” created as part of the Cambridge Public Library and CCTV’s collaborative program, Discovering Our Histories, Telling Our Stories. Missing gravestones, immigration, the origins of unique family names: these are just some of the stories the people of Cambridge have to tell. On Nov. 15, after a six-week course, 10 residents showcased the intricacies of their family histories during a film screening at the Cambridge Public Library. Read the rest of the article here.